A stunning collection of Wedding centre piece and table candles for your wedding, all lovingly made to your requirements with the quality you expect from Just Candles. If you're looking for something completely bespoke then let us know and I am sure we can help you. An elegant Ivory wedding table centrepiece candle set. 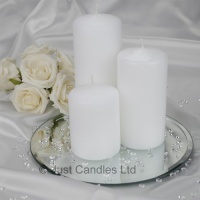 An elegant white wedding table centrepiece candle set. 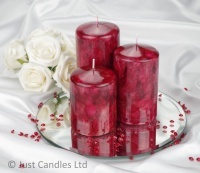 A stunning Maroon marble effect wedding table centrepiece candle set. 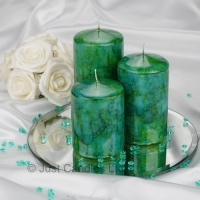 A stunning Teal marble effect wedding table centrepiece candle set. 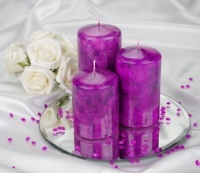 A stunning Cadbury Purple marble effect wedding table centrepiece candle set. 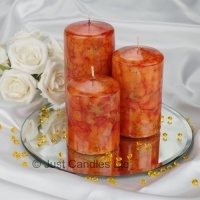 A stunning Burnt Orange marble effect wedding table centrepiece candle set. 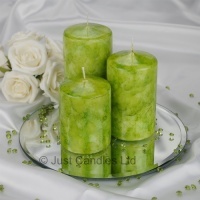 A stunning Lime Green marble effect wedding table centrepiece candle set. 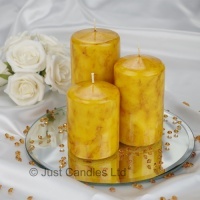 A stunning Mustard marble effect wedding table centrepiece candle set. 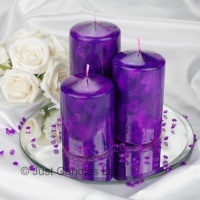 A stunning Violet marble effect wedding table centrepiece candle set. 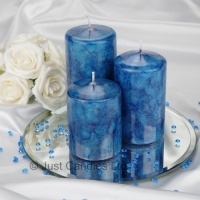 A stunning Aqua Blue marble effect wedding table centrepiece candle set.